In nature, corals bleach from changes in water temperature, increased radiance, changes in water chemistry, infections/diseases, sewage run- off, and toxins. In well maintained reef aquariums bleaching can often occur after switching from another light technology (fluorescent/metal halide/HQI) which can result in spectrum changes and an increase in light intensity. 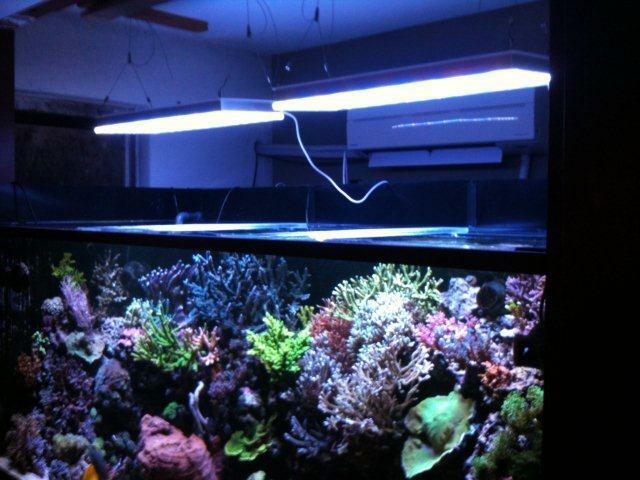 Therefore it is very important to slowly acclimate your corals to your new Orphek LED lighting. To help simplify this we have provided these instructions to help make the transition easier on your corals or other photosynthetic life in your aquarium. 1. Raise the LED Pendant much higher above the aquarium than you plan on keeping it. Slowly lower the fixture over a time span of three to four weeks. 2. 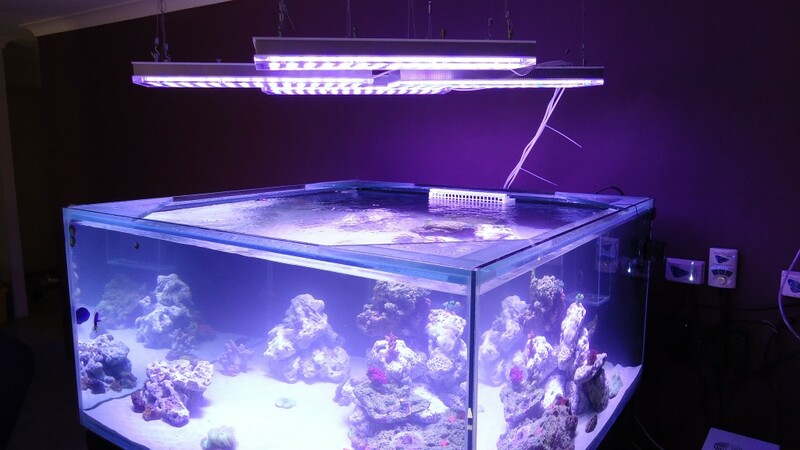 Lower the photoperiod for the white LEDs and start with a four hour photoperiod. During the course of the acclimation period, increase the white LED photoperiod by one hour per week until you reach the desired white photoperiod. Usually eight to nine hours is sufficient for good coral growth. The blue photoperiod should begin two hours before the white photoperiod begins and end two hours after the white photoperiod begins. 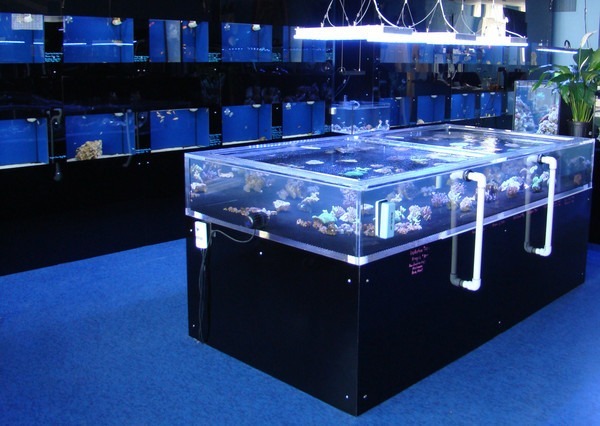 In the case of our Atlantik, a built in coral acclimation program is already built into the unit. 3. If you are using an aquarium controller or our new Atlantik which has dimming and full programming capabilities, start with 50% power to the white LEDs and increase by one hour per week until your desired photoperiod is reached. During this time it is very important to watch your corals to ensure their pigment isn’t turning lighter (bleaching) or any other signs of stress. If the corals appear to be fading or turning white, slow down the process. 4. Regardless of which acclimation process you use, always monitor your corals for signs of stress or their reaction to your new Orphek LED lights. If there are any signs of stress or fading, back up the schedule and most importantly, be patient. With Orphek LED lighting, intensity may not appear to be as intense as your old lighting technology was. This is due in part to the spectrum we tune our LEDs to. The spectrum that corals best respond to is the spectrum that our eyes are least sensitive to so they may not appear as “bright” to your eyes. PAR testing reveals this fact quite nicely as our Orphek LED products produce very high PAR levels in the spectrum required by corals for healthy and fast coral growth. It is highly recommended that these instructions be followed carefully. Many aquarists may think that their corals are fading or bleaching because the light isn’t bright enough. This is not the case; this is caused by stress which causes the corals to expel their zooxanthellae which gives the corals their color.